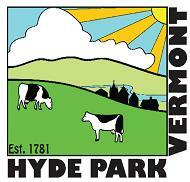 The office is located at 344 Route 15 West, Hyde Park, Vermont; just westerly of the roundabout in Hyde Park. The Treasurers Office is open Monday through Friday, 8am to 4pm. The office is closed the Monday before every election and is closed on all election days. Please include your coupon for quicker processing. For questions, please call (802)888-2300 option 1. For your convenience, payments can be made by ACH Direct Debit. Please complete the ACH Direct Debit form and return to the Town Treasurer no later than 10 days prior to the next tax installment due date. Please read the fine print on the form. Your signed authorization remains in effect until you cancel in writing no later than 10 days prior to the tax installment due date. Payments can also be made at www.officialpayments.com . Official Payment Corp charges a 3% convenience fee for using their service. Please note, it takes 24-48 hours for the payments to reach us from Official Payment Corp. Questions regarding tax sales can be directed to Kimberly Moulton, Delinquent Tax Collector at (802)888-2300 or to the Town Tax Attorney, David Polow for tax sales prior to December 31, 2015 or the Town Tax Attorney, Angela Ross at (802)755-6343 for tax sales after April 14, 2016.